I’ve noticed that a lot of people don’t want to take offals when getting meat orders from their farmers. Liver, though, is gaining some popularity due to numerous information on its high nutritional value and vitamins content, but kidneys remain to be the least desirable cut, mostly because we simply don’t know how to cook it. 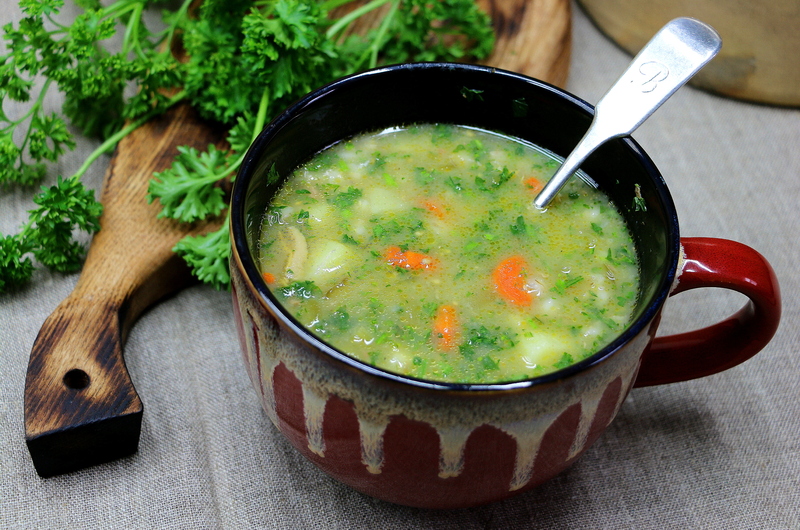 Let me share my recipe of Eastern European Kidney Barley Soup, I am sure you’ll find it quite satisfying. Thaw kidneys, wash them, remove as much membrane as possible, cut to pieces and soak overnight in a brine: 1l of cold water, 1tbsp of vinegar (in a fridge). Discard the brine, rinse the pieces of kidneys in cool water, add fresh water, add dried porchini mushrooms and simmer on a low heat untill tender (time may vary depending on the quality of meat and the size of pieces, but should not take longer than an hour). Meanwhile cook 1/2 cup of barley in a separate pot. Rinse it when cooked in a collander under the cold running water and set aside. Chop bacon into fine bits, put it on a frying pan. When enough fat melts, add chopped carrots with ground coriander and saute them until they begin to caramelize. When kidneys are tender, add chopped potatoes and sauteed carrot to the soup pot, let it cook. Meanwhile finely chop fermented green tomatoes or cucumbers and simmer them in a fryng pan in a half of the brine until tender (again, time depends on what you are using, but it should not take longer than 10-15 minutes). When potatoes in the pot are cooked through, and green tomatoes (or cucumbers) are tender, combine all, add cooked barley and 2 Tbsp of oat flour. Let all the ingredients simmer slowly for another 5 minutes, turn the heat off. Try the soup for salt. Add more salt if you feel so. Serve the soup hot, seasonned with a generous bunch of chopped parsley. If happen so that you don’t have kidneys :), you definitely may substitute them for any meat piece or soup chicken.